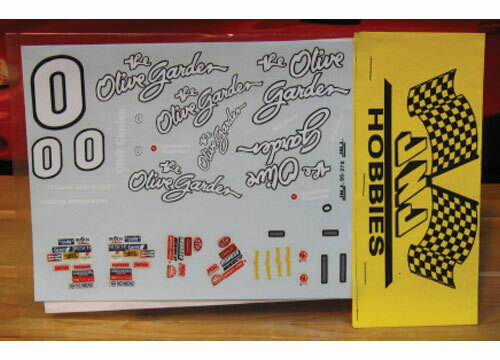 #0 Olive Garden Lumina driven by Mike Garvey in the 1994 season. #00 Aquafresh Grand Prix driven by Bucksot Jones in the 1997 season. 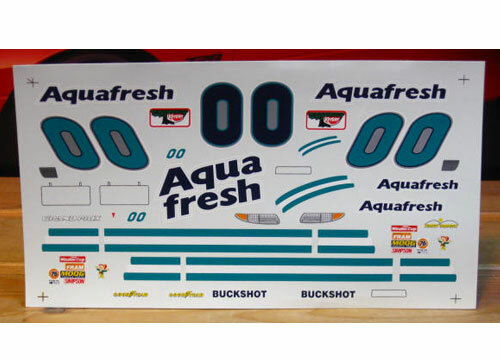 #00 Aquafresh Grand Prix driven by Buckshot Jones in the 1998 season. 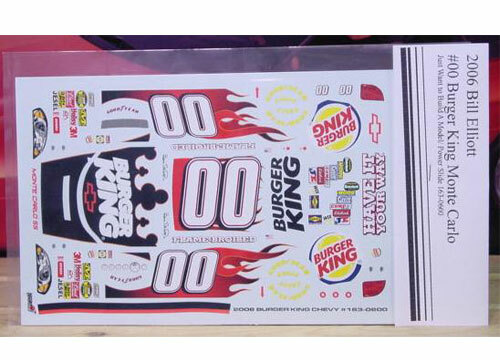 #00 Burger King Monte Carlo driven byBill Elliott in the 2006 Brickyard 400. 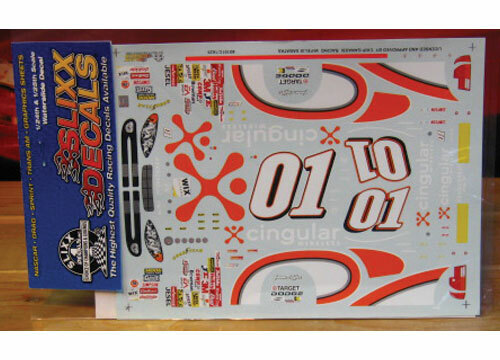 David Reutimann's #00 Domino's Toyota as raced in the 2006 season. 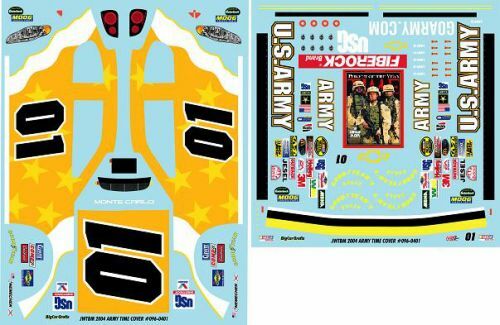 Sheet includes Napa logos which appeared on the car later in the 2006 season. 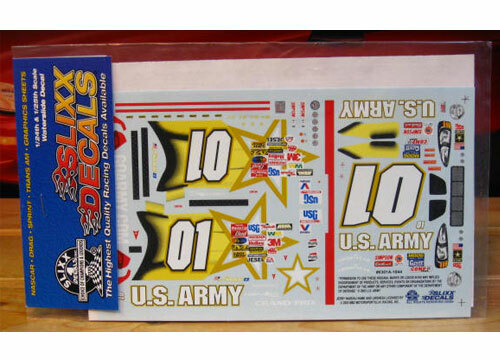 #01 Army "Time Person of the Year" Monte Carlo driven by Joe Nemechek in the 2004 season. 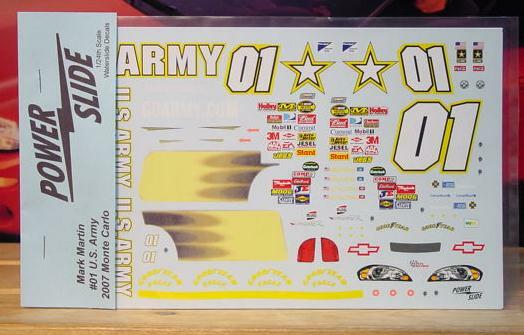 #01 Army 2004 Monte Carlo driven by Joe Nemechek. 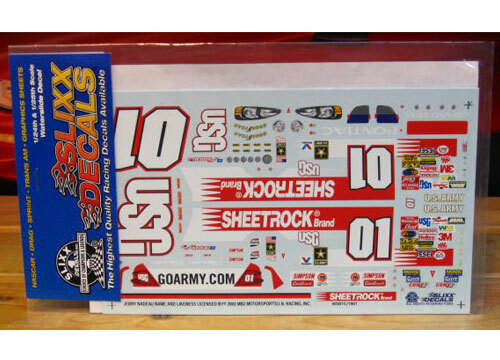 This is a supplement sheet that converts the JWTBM 2003 Army sheet over to the 2004 Monte Carlo version. 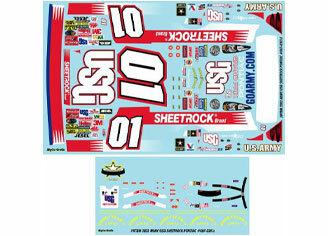 #01 USG Sheetrock Grand Prix driven byJerry Nadeau in the 2003 season. 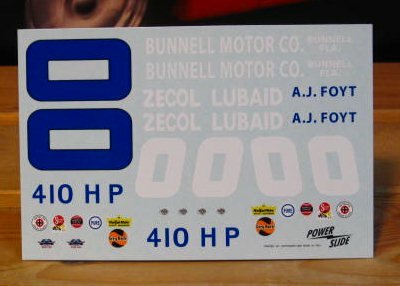 #02 Apache Stove Buick driven by Mark Martin in the 1982 season.